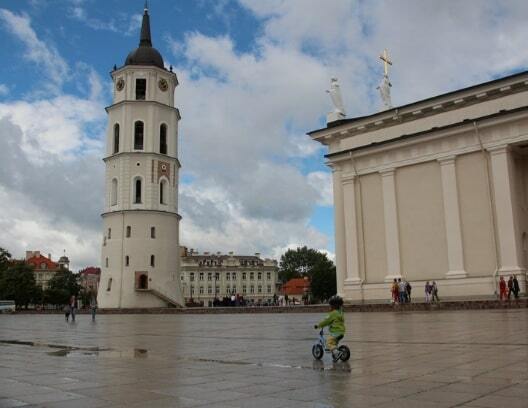 Europe has many wonderful countries, but Lithuania is one Schengen country not to be missed. There are plenty of things to see and do. Take in the culture, the impressive monuments, or simply relax on a beach in a charming coastal resort. There are annual festivals and fairs where you can shop for local arts and crafts. There’s even an archaeological festival with traditional music and activities. Lithuania is one place that will leave you wanting more! In this article learn more about how to apply for Lithuania visa at the Lithuanian consulate in NYC, New York, Lithuania visa appointment booking, Processing time at the Lithuania visa application center, flight itinerary for Lithuania visa, hotel bookings for Lithuania visa, Schengen travel insurance for Lithuania visa application, and Lithuania Visa Application Process at the NYC consulate. 413,966 Schengen visa applications for Lithuania were received at embassies and consulates around the world. Just over 1% of there were refused. 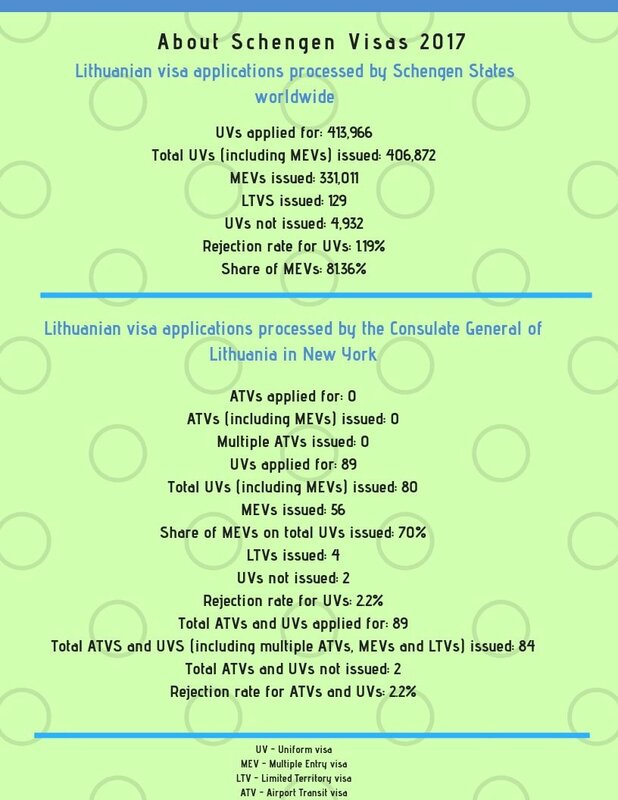 The Consulate General of Lithuania in New York received 89 applications and rejected just 2 of them. 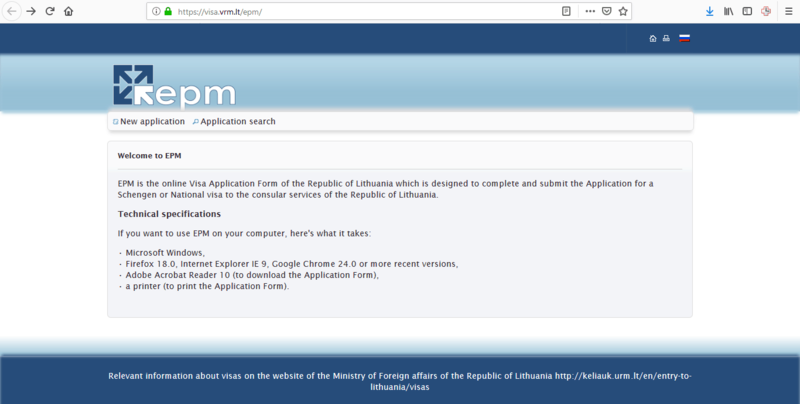 If you are a non-US citizen you will need to apply for a visa for Lithuania. 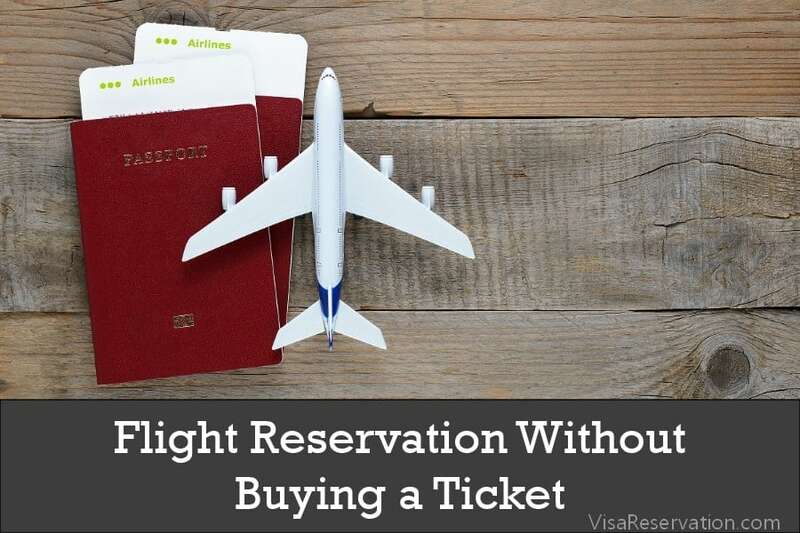 However, in order to do this from the United States, you must live in the US on a permanent basis and you must be able to provide proof of legal residence. Your reason for traveling to Lithuania will determine the category of visa you need to apply for. 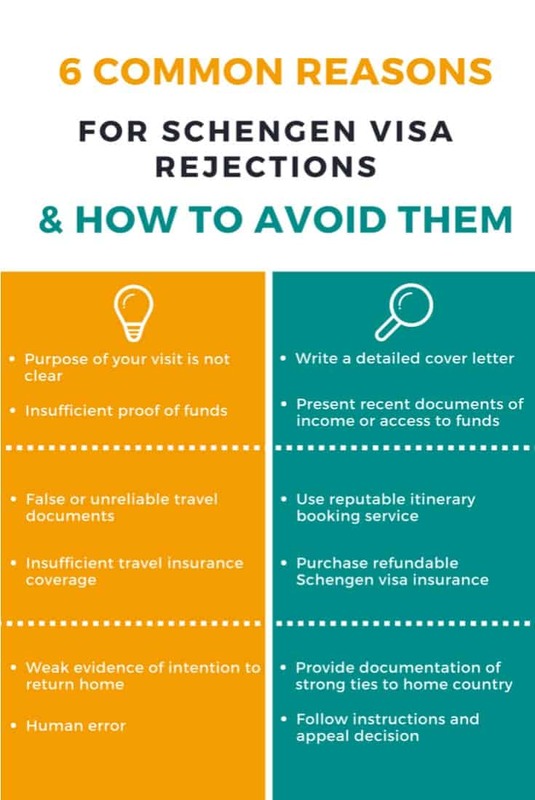 Generally, Schengen visas are issued for the purposes of tourism, business, or to visit family or friends. National visas are issued for the purposes of paid employment, study, or residence. When you apply for your visa, you can specify the number of times you are able to enter the country. 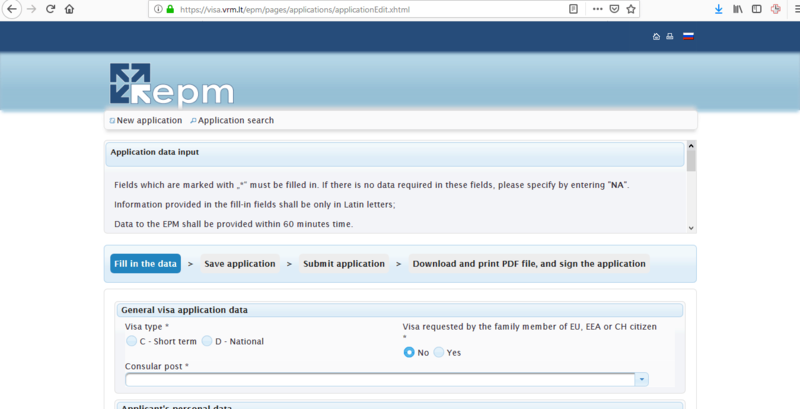 If you are applying for a Schengen visa for up to 90 days, you can choose single entry (once), double entry (twice) or multiple entry (unlimited times). 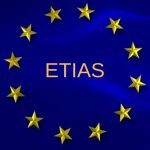 For National visas, a single entry national visa shall be issued if you have also been granted a temporary or permanent residence permit in Lithuania. A multiple entry national visa shall be issued if your reason for traveling to Lithuania means you will need a long-term stay. The Consulate General of Lithuania in New York processes visa applications within 10 days. 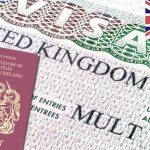 However, the time could be extended up to 30 days depending on the circumstances of your visa application. You can apply up to 3 months ahead of your departure date, so apply well in advance. The consulate will NOT rush your application through if you apply too late. Once you’ve completed the application form, print it and sign it. Before you start step 3, take a look at the consulate’s website so you know what documents you need to prepare. The requirements are different for each type of visa. The consulate will not accept incomplete applications, so make sure you provide what they ask for. In addition, you need to provide photocopies of everything, so don’t forget to do this. On the day of your appointment, arrive at the consulate in New York early, dress smartly, and remember to take your full application including the supporting documents. Do you intend to work in Lithuania? 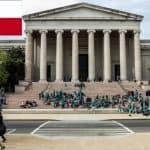 What are your plans when you return to the US? The consulate needs all the facts from you to be able to make a decision, so answer their questions, politely, honestly, and be confident with your answers. Don’t give them any reason to doubt you as this could affect the outcome of your application. You’ll also have to pay the fee for your visa. 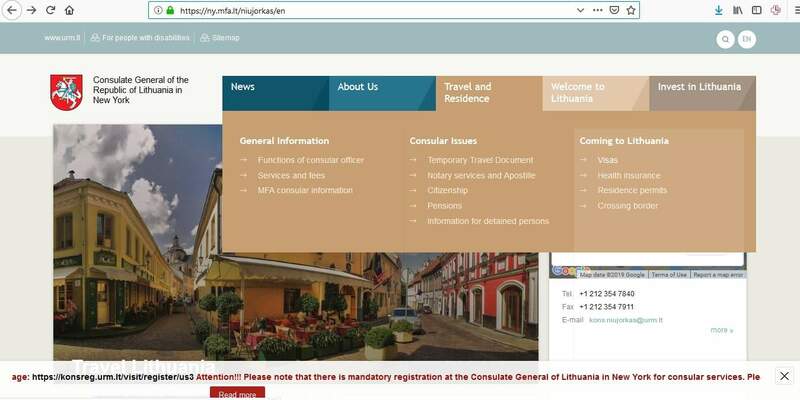 You can pay by money order payable to the Consulate General of Lithuania. This fee is not refundable, even if your application is refused. You may also have to provide a scan of your fingerprints if this is your first time applying for a Schengen visa. When the consulate has reached a decision about your visa application, you can either collect your passport from their office or arrange for it to be mailed back to you. Please note, if you wish your passport to be mailed, you will need to complete a consent to mail form and pay an additional fee of $20 to cover the mailing expenses. If your application has been approved, you will find the visa inside your passport. If it isn’t there, your application has been rejected. You must ensure that you apply for the correct visa. 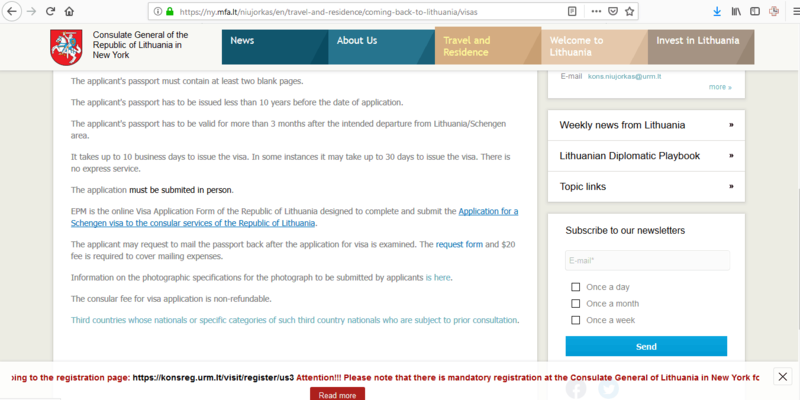 If you are going to Lithuania for sightseeing purposes, you need to apply for a “tourist” Schengen visa (for a maximum of 90 days). If your passport is damaged in any way, you must obtain a new one before applying for your visa. You must be able to afford the trip, so you must provide documents that prove this. Plus, you must provide all the necessary documents in order for the consulate to make a decision about your application. This is why you should check what is required before you start to prepare your documents. At the end of step 5, you’ll hopefully find your visa inside your passport. Then, you simply have to wait until the time comes when you jet off to Lithuania!